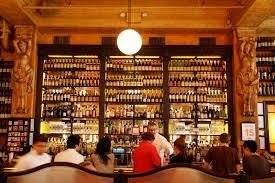 We love all neighborhoods of NYC, but SoHo (South of Houston) has a special place in our hearts. SoHo is known for its beautiful cobblestone streets, colorful buildings and beautiful architecture that remind us of Europe and other dreamy destinations. Check out some of our favorite spots below to keep in mind next time you are headed downtown for the day! 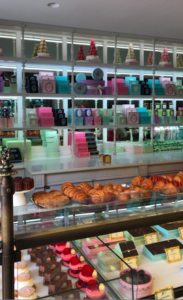 Our office is located dangerously close to Ladurée and we’re not complaining. 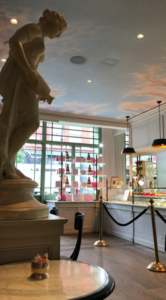 The French bakery and restaurant chain, located at 398 West Broadway, brings us to Paris minus the pricey plane ticket with its beautifully painted ceilings and regal décor, and not to mention their to die for macaroons. We love popping into Ladurée for coffee meetings, grabbing a bite to eat during lunchtime or even picking up some sweet treats to bring along to events and meetings. The restaurant is a great place to have meetings with potential clients or important contacts as it usually isn’t too noisy or crowded – we even held our holiday event there last December! We also love visiting during the warmer months so that we can take advantage of their scenic outdoor garden seating. There are many great streets to stroll through in the SoHo area, but Broadway is great for anyone who loves fashion as much as we do. While there are many great high-end shops in the area, Broadway is home to Zara, Forever 21, Aritzia and other stops that are great for picking up your everyday essentials. Be sure to make your way over to Broadway to snag a good deal, and we’ve got you covered in case you need a post-shopping pick-me-up: there is a cozy Starbucks right around the corner! …or any of the other amazing options in the neighborhood. There are so many great options to meet up with a coworker, prospective client or potential colleague for casual drinks after work hours. Balthazar (80 Spring Street), famous for its French cuisine and background, is one of our favorite spots for dinner and we love its traditional entrées like the niçoise salad. Whatever you are in the mood for, be sure to check out reviews to see what suits your fancy and be sure to make a reservation as many of the best spots fill up quickly. At the end of the day, one of our favorite parts about SoHo is its overall atmosphere in general so don’t forget to sit back and take it all in. 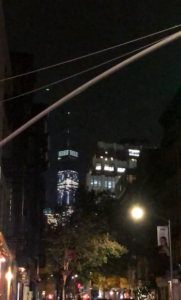 We love taking strolls around the neighborhood after a hectic day in the office, where we can enjoy views of the Empire State Building, One World Trade Center, beautiful architecture and of course fellow fashionistas who are known for hanging out around the area. After a busy day, it feels great to slow down and simply enjoy this friendly and calm area of NYC — it is truly one of a kind! What are your favorite parts of SoHo? Let us know in the comment section below!